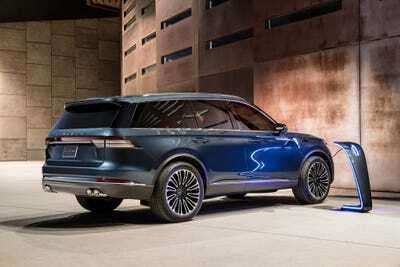 Lincoln’s latest New York auto show debut is a future crossover SUV, the Aviator. It will be Lincoln’s first plug-in hybrid offering. NEW YORK – Lincoln unveiled its new Aviator crossover SUV at an event for media on Monday, before press previews officially began for the New York auto show. 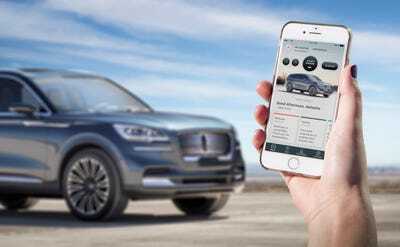 “The ‘teaser’ model serves to preview the direction Lincoln plans to take with its newest SUV when the production model goes on sale next year,” Lincoln said. The new Aviator represents a strong move on Lincoln and Ford’s part away from sedans, whose sales have slowed, and toward SUVs, whose sales have been booming. It also represents a slight break from Lincoln tradition at the New York auto show, kicking off to the public on Friday. It will be built on a new rear-wheel-drive platform and offering Lincoln’s first-ever plug-in hybrid system to go along with a twin-turbocharged engine. 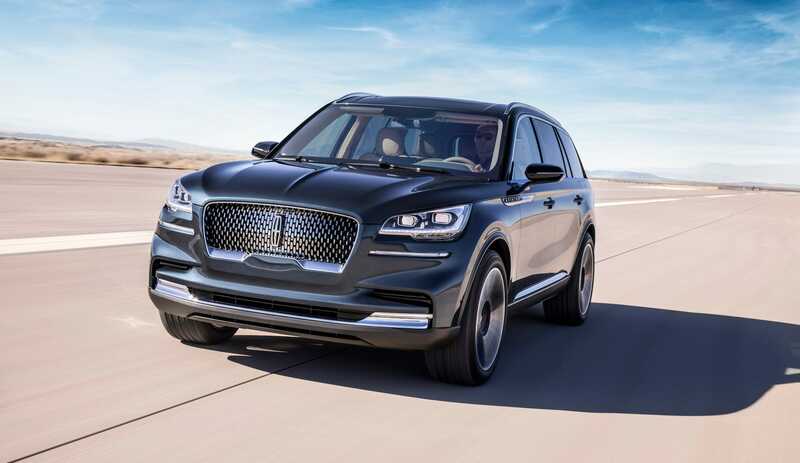 The Aviator will live between the Nautilus crossover and the Navigator full-size SUV in the rejiggered Lincoln lineup, which appears as if it’s going to evoke sailing and flying in relatively equal measure. New Lincoln head Joy Falotico has taken over the restoration of the brand – a nameplate that, although storied, had been on the chopping block after the financial crisis. “We believe Aviator’s elegant design, state-of-the-art technology and refined plug-in hybrid option will draw even more clients to the Lincoln showroom, including families who are looking for three-row capability,” she said. Design director David Woodhouse walked journalists through the inspiration for the vehicle, ranging from ballerinas to curvaceous wooden sculptures to midcentury aeroplanes. On the interior front, the Aviator will continue a Lincoln theme of subtracting distractions and presenting owners with a “sanctuary” – a calming, airy environment inside the vehicle. Tech-wise, the Aviator will feature a host of driver-assist features, as well as Ford’s SYNC 3 infotainment system. It will also dispense with the need to carry a key fob around.